Comments: A really red flowering, medium sized crape myrtle makes an outstanding plant in the summer garden. Those with faurie genes, as is this one, have larger leaves and generally have cinnamon brown exfoliating bark. The bark on this variety is exceptionally striking. 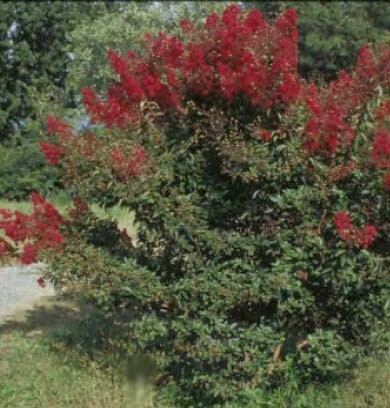 They are less prone to leaf spot, powdery mildew disease and reportedly more resistant to crape myrtle aphids.